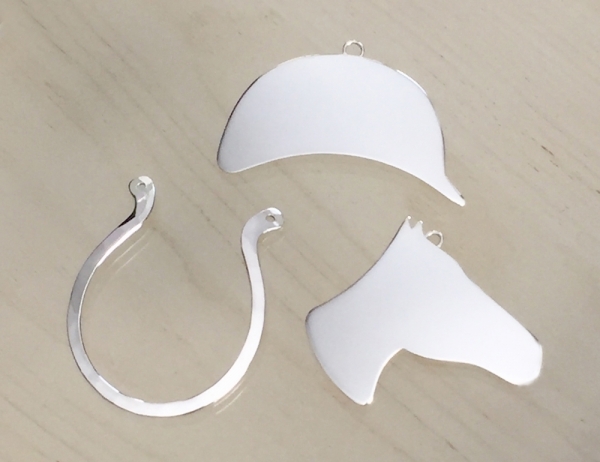 Equestrian Helmet Christmas Ornament is a unique and personal gift for an equestrian enthusiast or someone who loves to ride horses. The joy horses bring them will radiate on their Christmas tree with this fun silver riding helmet! Each ornament is hand pierced from sheet silver and the shape refined by filing and sanding. The slightly domed form gives it dimension and the smooth, shiny surface is perfect for personalizing with hand engraving. Item will ship three weeks from purchase date if customized with hand engraving. All objects customized with hand engraving are non-refundable.